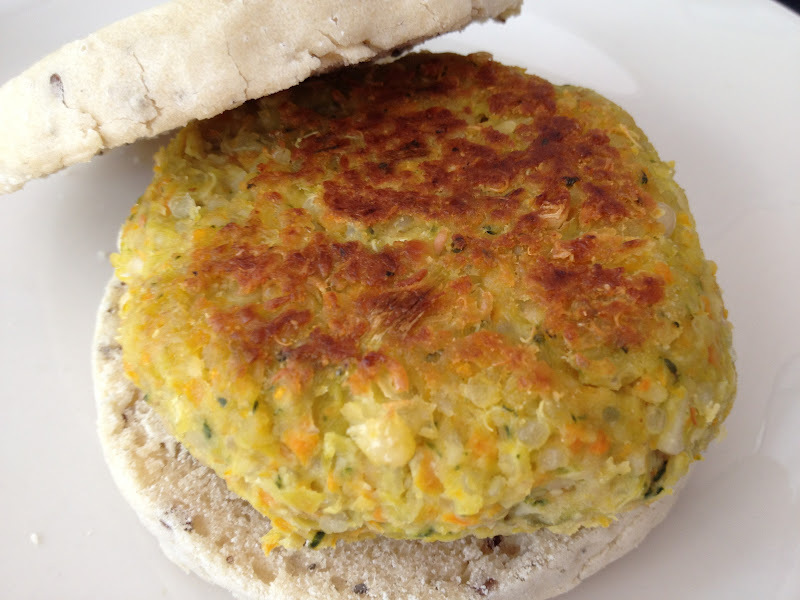 This is an updated version of my white bean burger using fresh thyme. Personally, I like to eat this burger with mustard. Make the navy beans and quinoa ahead of time. Mash the beans with a potato masher and place in a bowl with the quinoa. Clean and chop the leek, carrot and spinach in the food processor Chop the fresh thyme. Sauté in oil until soft adding the thyme just at the end. Then add to the beans/quinoa along with the chickpea flour. Season with salt and pepper and mix well to combine. Make four burgers and place on the baking sheet. Bake for 15 minutes. Toast up a gluten-free English muffin and enjoy!